The previous part of this blog describes how normal report connections work. Direct Query is a bit different. 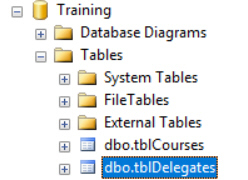 To explain this part of the blog, I've taken my Excel workbook and CSV file and put them into two SQL Server tables (you can download script to generate these tables here, if you want to follow along). Select DirectQuery to get all of your data directly from the underlying tables, without an intermediate data model. Direct Query has several limitations: you can only use data from certain databases, all your tables must come from the same database there are limits on what measures you can create, and there is no intermediate data model (and hence you can't have calculated columns). Spot the difference? 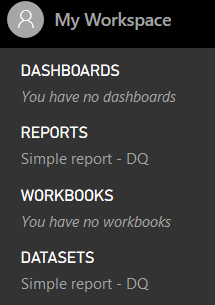 In a report using Direct Query, there is no Data tab. 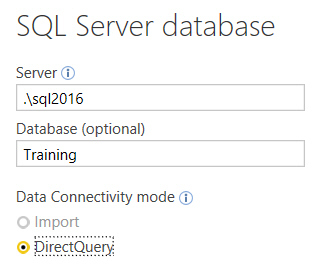 The main reason to use DirectQuery is when you have huge amounts of data, which would overflow the Power BI Desktop 1 gb limit, or take too long to load into a data model. There is no data model: reports get their information directly from the underlying database tables. When you publish a report using DirectQuery, you'll see this message if you haven't set up a gateway to allow data to refresh. There is a dataset for the report, but you can't see any data within it unless you set up a gateway to allow your report to refresh. Viewing published DirectQuery reports without first setting up a gateway can be a bit boring! If you can't connect to the underlying database, you can't display any visualisations! 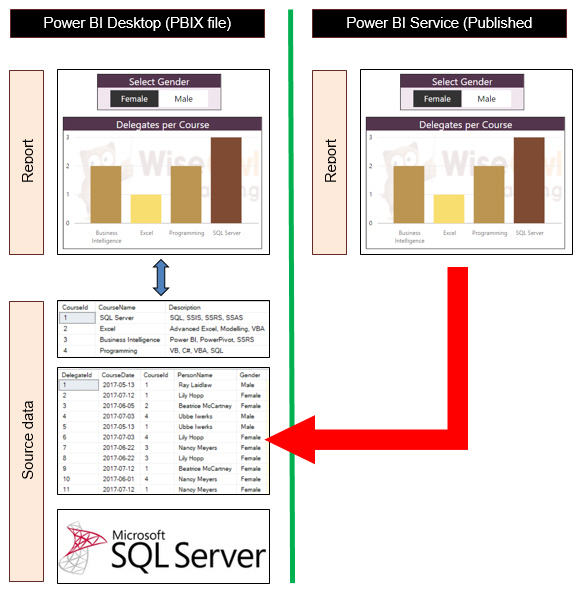 You can only see data in a report if you can set up a connection to cross the green line between Power BI Service and your source database. 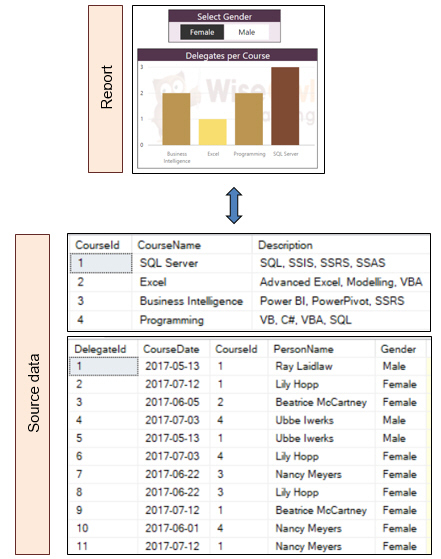 Thus refreshing data is useful for a normal report, but essential for one which uses DirectQuery to get at its data.